A stunning performance of Handel’s Apollo e Dafne at the First Church in Cambridge, Congregational, Saturday topped off the winter-spring season of the Boston Early Music Festival. In a display of singular flair and expertise, concertmaster Robert Mealy and harpsichordist Avi Stein led the BEMF orchestra of period instruments. Soprano Amanda Forsythe and baritone Jesse Blumberg sang the title roles with insightful characterization as well as vocal panache. 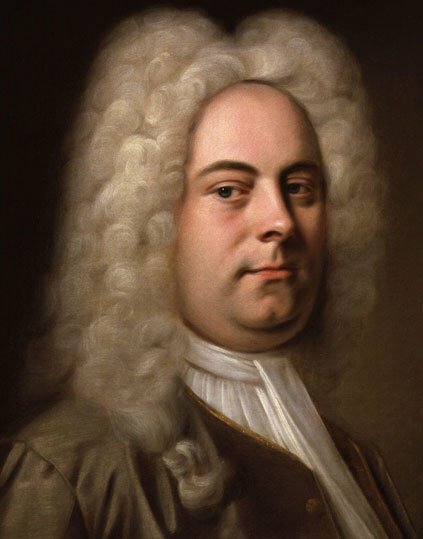 When George Frideric Handel arrived in Rome at age 21, he had already received a thorough musical education in his native Halle and developed a strong interest in theatrical music during his three years spent in Hamburg. There he played violin in the opera orchestra and composed his first opera Almira, premiered in 1705. While in Hamburg he also acquired a taste for Italian musical style and set off for Italy determined to further his career. Not surprisingly, his first patrons in Rome were princes of the church with refined taste in secular as well as sacred entertainments. Over the next three years spent in Italy, Handel absorbed the influences of the celebrated composers, librettists, and performers of the day, and pursued a successful freelance career, writing spectacular church music and secular cantatas for Rome as well as operas for Florence and Venice. Before leaving Venice in early 1710 to take up an appointment as Kapellmeister in Hanover, he had started setting to music the dramatic cantata Apollo e Dafne. The score was apparently revised in Hanover and the remainder of the music probably completed sometime later that year. The anonymous libretto of Apollo e Dafne is based on a story from Ovid’s Metamorphoses as retold by Petrarch. Apollo has just defeated the monstrous python serpent and liberated the people of Delphi. In his opening recitative “La terra è liberata” (The earth is liberated) followed by the bravura aria “Pende il ben dell’universo” (The well-being of the universe), he boasts of the prowess of his bow in assertive tones, frequently reinforced in unison by the orchestra. In the flamboyant aria “Spezza l’arco” (Shatter the bow) that follows, he claims that his arrows have greater potency than Cupid’s; he can never be vanquished by any opponent. Fanfares of oboes and bassoons masquerading as military trumpets symbolize Apollo’s superiority over Cupid in battle. Jesse Blumberg’s ringing baritone was appropriately strident but never blustering, his adroitly executed runs balanced by effortless melodic leaps. Enter the beautiful nymph Dafne singing a lilting siciliano “Felicissima quest’alma / ch’ama sol la libertà” (That soul is the happiest / which loves its liberty alone). Here the oboist Kathryn Montoya picked up a recorder, its dulcet tones floating over pizzicato strings. The effect was ravishing. Soprano Amanda Forsythe was at the top of her game: pure tonal beauty supported by elegantly shaped melodic lines. Instantly smitten, Apollo tried to seduce Dafne. In a neat inversion of musical characterization, the pleading god was rejected by a resolute nymph who professed unswerving loyalty to the goddess Diana (Cinthia) alone, the solo oboe now expressing her stern refusal. The rapid-fire duet “Una guerra ho dentro il seno” (I have a battle in my breast) that concluded the scene had the two expressing tongue-tying rage and frustration in incessant parlando triplets, a tour de force for both singers. The second part of Apollo e Dafne opened with Apollo reminding Dafne that beauty is evanescent and will not last. His simile aria, “Come rosa in su la spina” (As the rose upon the thorn), was accompanied by violins in unison and an obbligato part for solo cello. Dafne spurned him again in a melting pastorale lament in dialogue with a beautifully attuned duet for oboe and solo violin. The iteration of her scornful irritation in rapid duple meter contrasted musically with his slow, mournful pleading in triple meter in a brief duet: “Deh! lascia addolcire / quel aspro rigor” (Ah, let this bitter cruelty be softened); “Più tosto morire / che perder l’onor” (I would sooner die / than lose my honor). In frustration, Apollo resolves to pursue her. Florid obbligato parts in solo violin Robert Mealy) and bassoon (Joseph Jones) enhance the chase. Suddenly, mid-sentence, Apollo realizes that Dafne has escaped him by transforming herself into a laurel tree. In a complete change of character, accompanied by echoing trio passages for two oboes and bassoon, he vows that henceforth all heroes shall wear laurel crowns in Dafne’s honor. Blumberg’s depiction of the sudden change in mood was eloquent, his sotto voce in the da capo return a masterful touch. Fine performances by the BEMF players in three instrumental works by Handel filled out the evening. Since no overture to Apollo e Dafne has survived, Saturday’s program opened with a lively performance of Handel’s Concerto Grosso in B-flat Major, Op. 3, No. 2. The concerto belongs to a set published in London in 1734 but based on material from works he composed in the 1710s. The first movement, Vivace, is an unusual fast sarabande. The second, Largo, began with exploratory solos for the two cellos (Beiliang Zhu and Matt Zucker) by way of introduction to a sinuous aria for solo oboe (Kathryn Montoya). The Allegro fugue was followed by two dances, a menuet, with variations for bassoon (Joseph Jones), and a gavotte, with variations for cello (Beiliang Zhu). Introducing the second half of the cantata, the overture to Handel’s Agrippina, composed for the Venetian carnival season of 1709, opened in typical French overture style with a section in stately dotted rhythms in duple meter . A cascading fugue in fast triple meter followed, capped with an improvisatory cadenza for oboe before a brief recall of the opening music. Finally, after the quiet ending of the cantata with Apollo’s lament, the Chaconne from Handel’s 1734 ballet Terpsicore, a series of increasingly intricate variations on a repeated bass pattern, concluded the evening with another joyful display of instrumental virtuosity.